With so many different social media sites out there, you might be thinking that they're just a fad or only for personal use. However, social media can be one of the most powerful branding tools you have for your business (and it's free!). 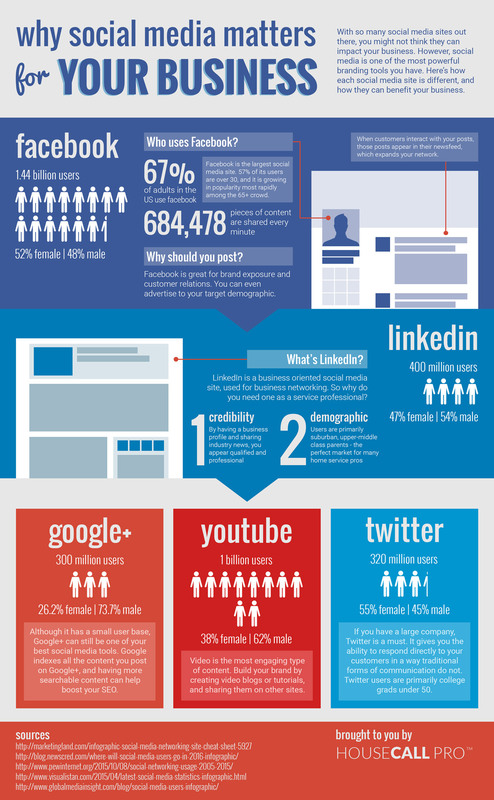 We've created an infographic to walk you through some of the different social media sites out there, and how you can use each one for your business. Once you've gotten more business than you know what to do with from your killer social media branding, you'll need help following up with all your new customers. That's where Housecall Pro comes in. Check out our postcard and email marketing features to help you bring in more repeat business than ever. We've put together the best social media channels to utilize as a small business. Check it out below!